In the visual arts, there’s a certain amount of respect reserved for the so-called “artist’s artist.” He is the brilliant creative mind who may be too fringe, too idiosyncratic or too before-his-time to garner popular consumption – but who is celebrated exceptionally by his more mainstream peers. The concept applies to the musical arts as well, and John Prine is a perfect example. No one is insisting that Prine hasn’t enjoyed a wonderful career, nor are we implying that he hasn’t been well received by the musical masses. But it seems it’s his most ardent support comes from his peers in the industry. ig Four” songwriters; and Roger Waters put him on the same shelf as Neil Young and John Lennon. 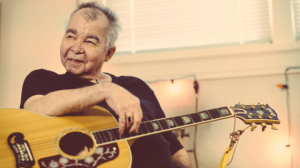 Tomorrow, on our weekly New Trails on the Trail segment, we’ll give you an opportunity to hear for yourself why all your favorite artists love John Prine with a few cuts off his new album, For Better, or Worse, scheduled for release Sept. 30. In the meantime, check out this review from the New York Times. Also on Tuesday, we’ll feature new work from Mike Doughty, Billy Bragg & Joe Henry, Saint Motel and Margaret Glaspy. Due Oct. 14, Doughty’s The Heart Watches While the Brain Burns is his ninth solo album since leaving Soul Coughing. Check out the video for the album’s first single, “I Can’t Believe I Found You in that Town”, HERE. Bragg and Henry’s new album was recorded live earlier this year during the duo’s tour of train stations across America. Titled Shine A Light: Field Recordings From the Great American Railroad, it features a variety of classic railroad folk and blues standards. Check out a map of their tour and more album details HERE. It’s scheduled for release Sept. 23. 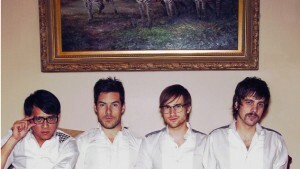 Saintmotelevision is the first full-length album from American indie pop group Saint Motel, and follows up their 2014 EP My Type. Due Oct. 21, the album will be accompanied by an extensive North American tour. And Glaspy’s new work, Emotions and Math, was released in June 2016 but is just now starting to gain some mainstream traction. Check out Pitchfork’s album review HERE. There ya have it – another Tuesday, another celebration of new music. Thanks to Rockin’ Rudy’s for sponsoring New Tracks on the Trail!